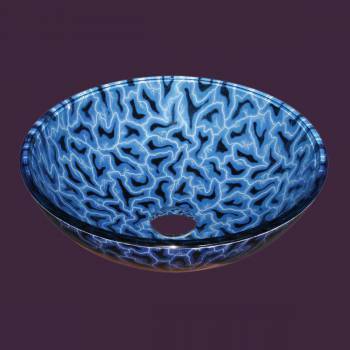 We have: Shop Glass Vessel Sinks. 100's of styles & glass vessel colors. Corner, pedestal, wall mount, mini, console and more! Find them all right here. Super deals on a huge selsection of sophisticated sinks!. 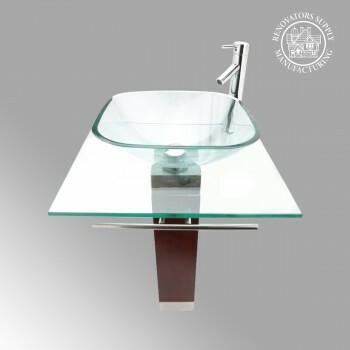 Glass Vessel Sinks Buy Tempered Glass Sinks at affordable prices. 100's of glass vessels to choose from. Many color options, patterns and glass vessel shapes. Find colorful blue, red, green, brown or clear glass sinks. 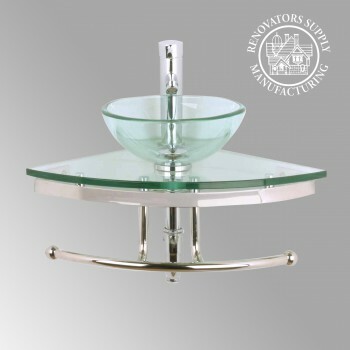 Browse round tempered glass sinks or modern shaped ones. Bathroom sinks can be fun and colorful. Choose from small glass sinks or larger glass basins. 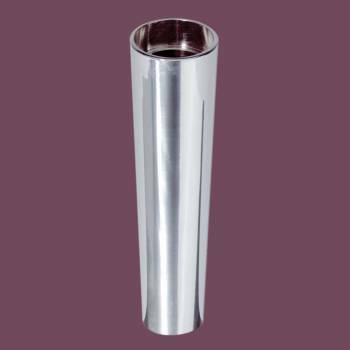 Glass vessels are available in smooth, etched or textured glass. Incredible glass sink SAVINGS. 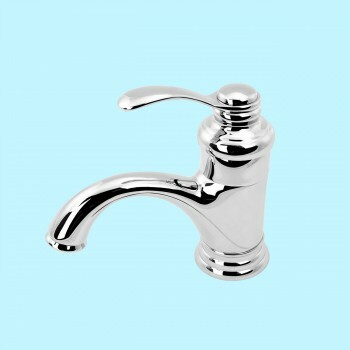 FREE chrome pop-up drain & mounting ring with every glass vessel sink. 10 Textured Glass Vessel Sinks styles to choose from. 14 Wall Mount Glass Sinks styles to choose from. 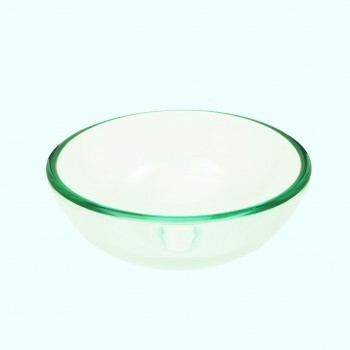 20 Single Layer Glass Vessel Sinks styles to choose from. 1 Corner Glass Sinks styles to choose from. 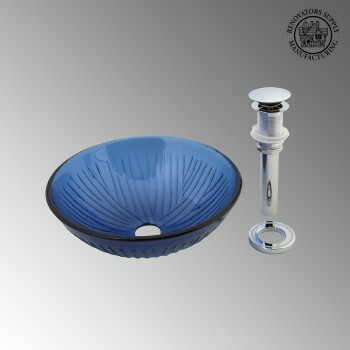 Small & mini glass sinks -beauty does come in small sizes. 5 Small and Mini Glass Sinks styles to choose from. 3 Pedestal Glass Sinks styles to choose from. 5 Children's Glass Sinks styles to choose from. 20 Double Layer Glass Vessels styles to choose from. 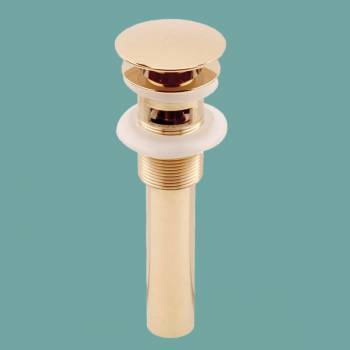 Sink & Faucet Hardware for use with our Glass Sinks. 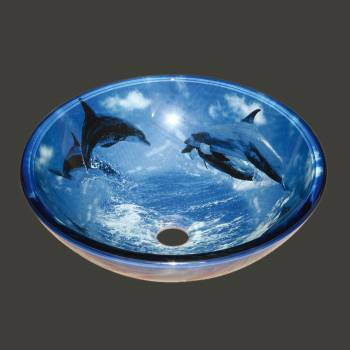 5 Painted Glass Vessel Sinks styles to choose from. 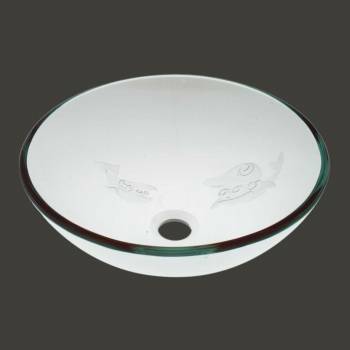 2 Etched Glass Vessel Sinks styles to choose from. 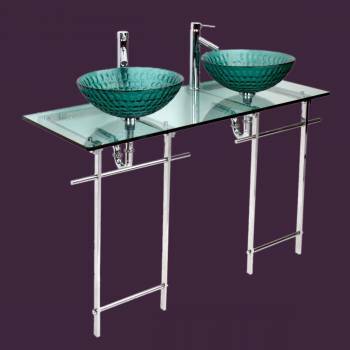 2 Console Glass Sinks styles to choose from. Pedestals for wall mounted sinks. 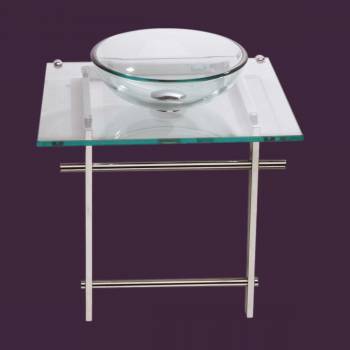 1 Glass Sink Pedestals Only styles to choose from.